An irreverent comedy that pairs modern women with five trailblazing wāhine in history. 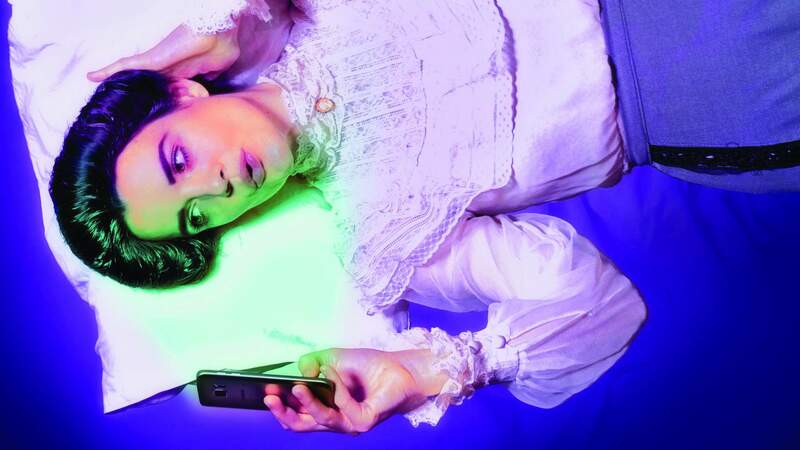 Coming to you as part of WTF (Women in Theatre Festival, such a good acronym), Modern Girls in Bed is a super-irreverent comedy that pairs modern women with women who were modern for their time — five trailblazing wāhine from Aotearoa's history (that should be herstory, right?) From Kate Sheppard to Heni Pore, Katherine Mansfield to Helen Hitchings, these women tell the story of what it is to be progressive, leading women in the 20th century. The show also blessedly coincides with #125Suffrage month, the perfect way to celebrate 125 years since women achieved the right to vote in New Zealand and 130 years since the birth of Katherine Mansfield here in Wellington. A seven-strong female cast lead this story about sisters, strength and conversations that span time and history. The show stars Maria Williams as Ally, Isadora Lao as Petra, Amy Tarleton as Kate Sheppard/Aunty Cate, Bronwyn Turei as Heni Pore/Aunty Jane, Alex Lodge as Katherine Mansfield/Aunty Lena, Renée Sheridan as Helen Hitchings and Maia Diamond as Akenehi Hei.